Similar to all predatory fish is a species that is mainly pursued using lures and especially thought-out bait. For many fishermen, the pike is the absolute pinnacle of going after the fishes of prey. This comes from the fact that they are both cunning and very physically adept – after all, they find their food by preying on other fishes and water-based animals. This allowed them to become adapted to stealth, speed and finally, get a strong sense for sensing danger. 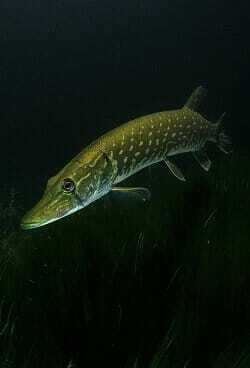 Thanks to it, generations of fishermen have cut their teeth on the pike and its sub-species, all of which provide the same basic body type and behavior. Many novice fishermen ask themselves where to find pike and how should they focus on the best pike hunting grounds. They might also wonder how to catch pike once they located what they believe is a body of water rich in the same fish. For the first question, the answer is that pike is abundant in many types of watery environments, including both deep and shallow glasses of water. Most pike prefers muddy waters where their creep-and-attack method of hunting offers them the best chance of getting their prey. But, this is not a necessity and pike will regularly venture out into different environments. Essentially, where there is prey on which the pike can feed, the fish species will be there. The second question, however, is more important. Pike cannot be easily caught using the principles that are applied to regular fish, especially those which are not a big predator as pike is. In theory, anyone means can be tried, but the results are often more than lacking. That is why a pool of generations of experienced fishermen has to be used to figure out what are the best options for pursuing this type of fish. Over the years, baits for pike were also used, but the results were far from ideal. This is mainly because of the fact that pike is such a dominant predator. Bait is static and relies on scent and chemical properties of the type of food placed on the hook. These senses are not that important to the pike, which hunts active and moving prey, using sight and vibration, among other things. This pretty conclusively resolved the issue of lures vs baits in pike fishing. With that in mind, the way to reach great pike specimens is to understand which lures work the best. Here is a list of the best lures used for fishing for pike. Presently, there are many lures and a lot of them advertise themselves as being ready for pike fishing. Yet, only a handful of lures actually provided the needed results to be called effective with this species. In other words, the question of how to catch pike has all to do with lures used for it. Spoons – Spoons jiggle and move about in the water, which mimics the movement and the glitter of smaller fish that pike will regularly attack. With its wobbling and wiggling action, they emit flashes and vibration. When pike notices this, they tend to see only one image – baitfish that is fleeing for their lives. This immediately triggers their hunter instinct and they go in for the kill. Also, spoons have been shown to work in a range of different depths, so they are definitely a go-to lure for all types of pike environments. Spinnerbait – The lures from the spinnerbait category are generally insanely effective against a range of fish species. Predators like pike see them as shapes that move about in an undefined manner and they will definitely usually decide to go in for a closer look. Here, the spinnerbait complex design works great because as they come closer, pike tends to recognize the shining elements as fish and attack. 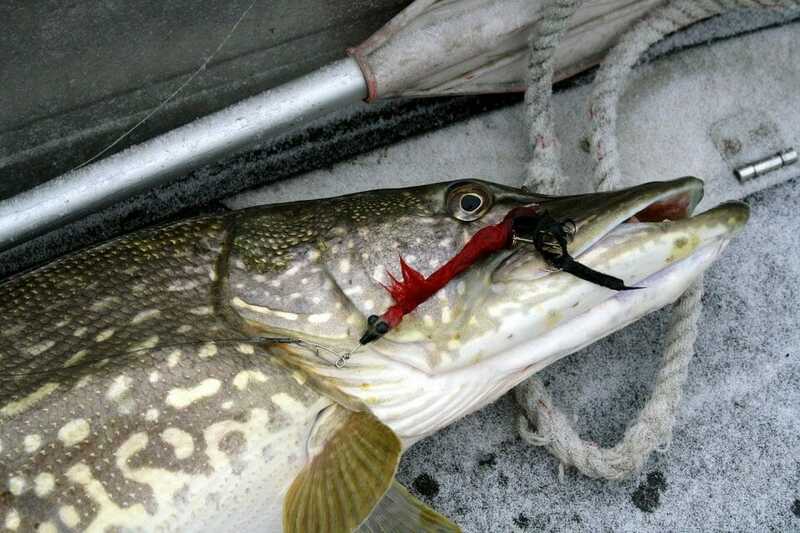 The hook positions make sure that even large pike with strong jaws gets caught. This allows the spinnerbait lures to have a very low instance of fish dropping off of them. Soft Plastic Worms – While both spoons and spinnerbait use their torpedo-like speed to get noticed by pike, soft plastic worms are slower and provide less vibration. But, they do come with an advantage that attracts pike – they behave in the water just like regular worms, slow and sluggish. This is a small bite for most adult pike, but also an easy one, so the fish will not pass an opportunity to attack it. Once hooked, the pike will be an easy catch for an experienced wrangler. With this information and knowledge about pike, especially the selection of the best fishing lures for pike, anyone will get a good chance to catch some trophy specimens. You can also check out this great guide on the best bass fishing lures.